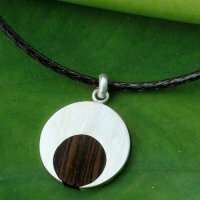 A beautiful natural material with lots of gorgeous gifts to choose from that would be perfect to celebrate 5 years together. 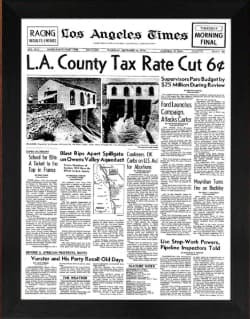 Just remember some of the best type of anniversary gifts are beautiful and not necessarily practical! And with that in mind avoid looking at that new decking you have always wanted. Instead there are some beautiful wooden carvings that you could display outside or have pride of place in your living room. 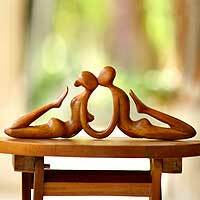 You could find a wooden sculpture of a couple entwined or think about what your wife really loves - apart from you of course, and find that in a wooden carving. 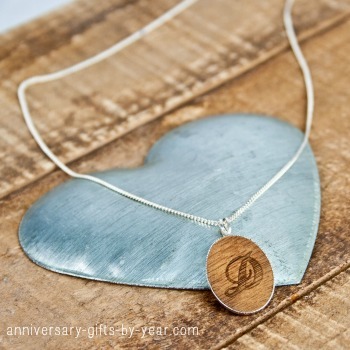 This stunning personalized wooden necklace is available to buy in our Anniversary Gifts Store today. 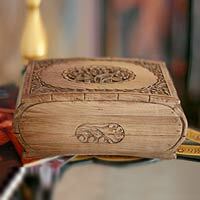 Just adore this gorgeous wooden box filled with two stunning wooden hearts. 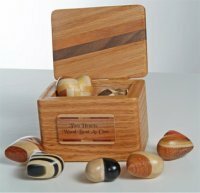 "Two hearts wood beat as one"
Gorgeous handcrafted wooden jewelry would make a beautiful 5th anniversary gift and one that would last forever. A perfect way to celebrate your 5 years as husband and wife. 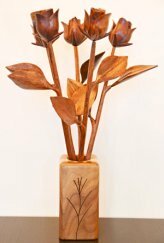 Wooden roses are a great way to send flowers on your 5th anniversary! They show how much thought that you had put into the gift and they last forever. Each rose is unique and handcrafted. You could send a single rose or a whole bouquet! There are some beautifully romantic wooden scupltures that show a couples' love for each other. 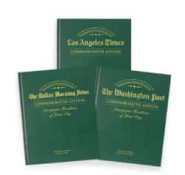 This would be an everlasting memory of your 5th anniversary and one that your wife would love. Lots of romantic, handcrafted wooden sculptures, there will be something for everybody's taste. 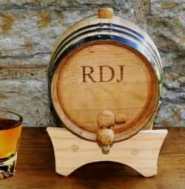 A personalized wooden gift gives you the chance to show your wife how much she means to you. 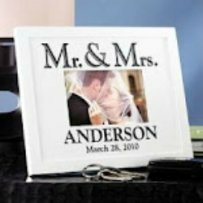 And this photo frame has a lovely message that you can add your names into the heart. You could then pop in your favorite photo of the two of you.